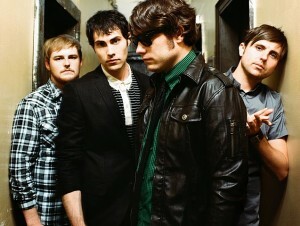 Ohio rock outfit Hawthorne Heights are now streaming their brand new EP Hope on the bands Myspace account. The new EP will be officially released on June 5 via Cardboard Empire Records. Hope is the bands second installment of their concept EP trilogy, which follows last years release of the EP Hate. Head over to the page and give the new release a listen but be sure to comment and let UTG know what you think of the bands new tunes. In addition to the new EP, Hawthorne Heights will also be heading out on a summer headlining tour and UTG has the details for you right here.